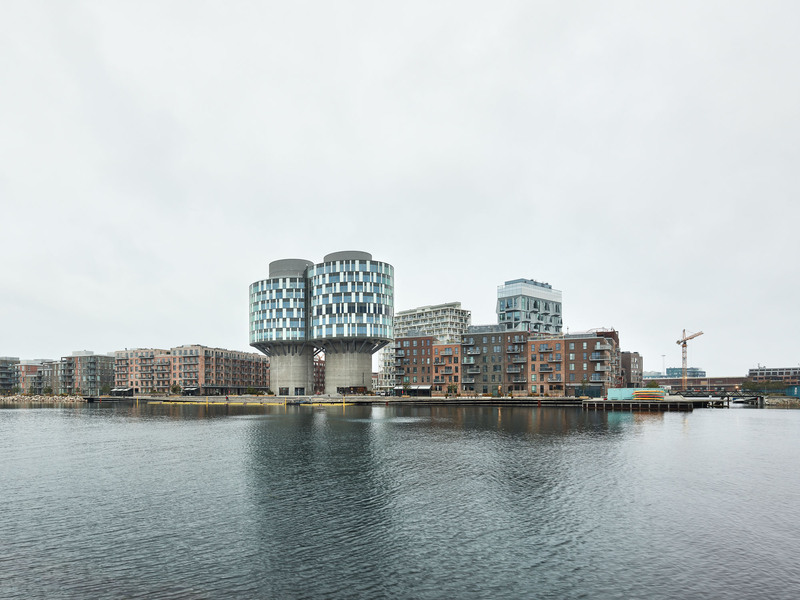 The Portland silos, erected by Aalborg Portland in 1979, have been transformed into multi-user offices, Portland Towers. 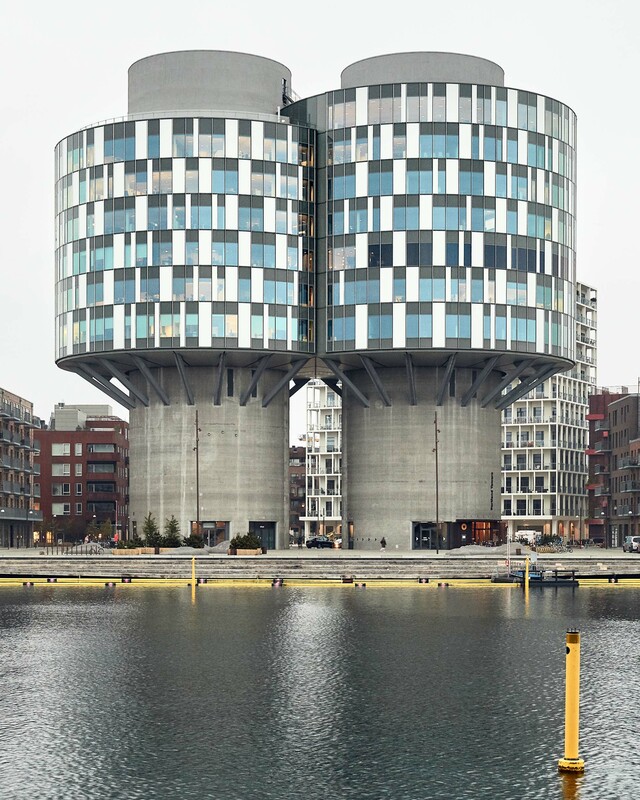 The two vertical silos hold the stairs and lifts. 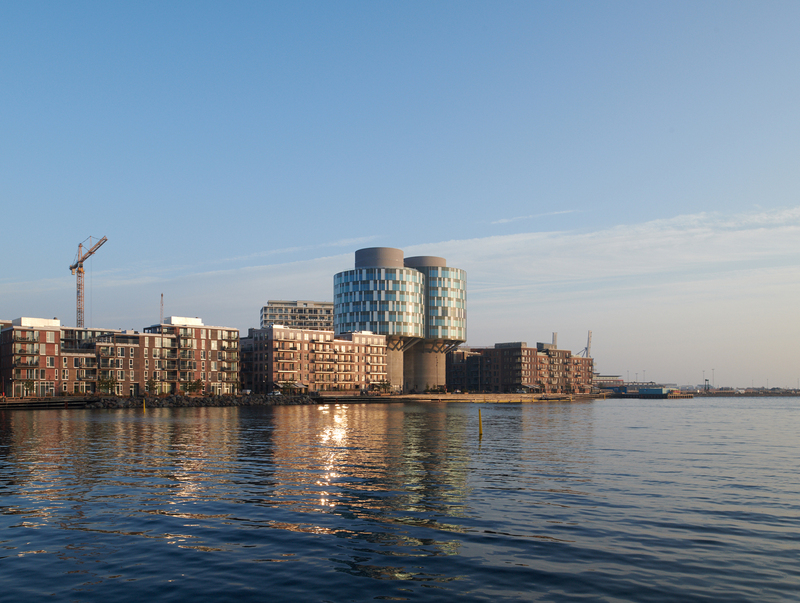 Hung onto the silos are 6 floors of offices with magnificent views over the city and the harbour. 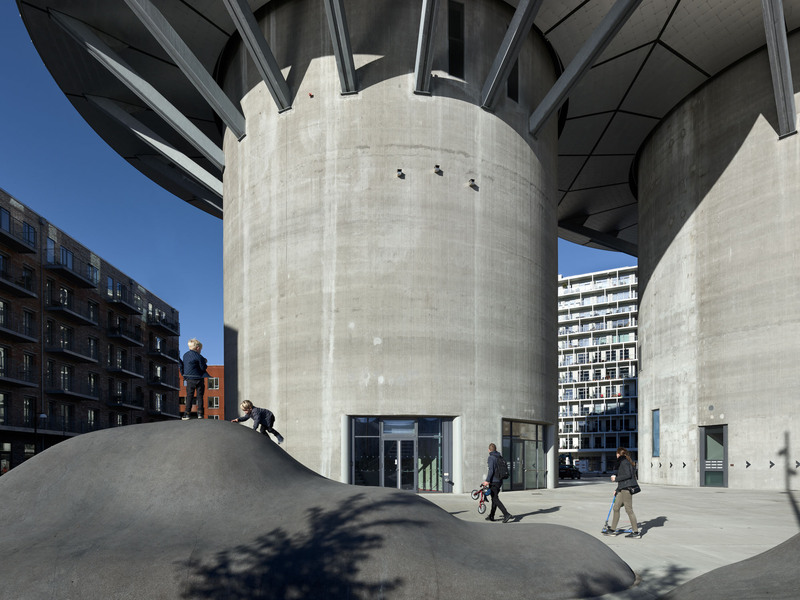 The transformation concept is to preserve the vertical concrete silos and add a circular cantilevered light glass construction that wraps around the circular concrete silos and thereby emphasises the circular form and creates a modern transparent office building. The composition of the glass facade draws inspiration from floating clouds on a blue sky. The common reception is located on the ground floor. 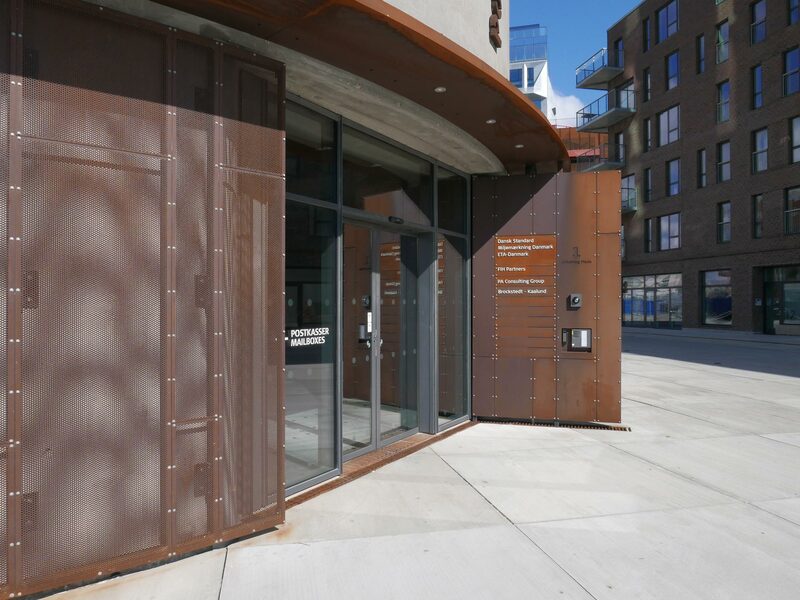 A corten steel framed entrance and wall panels combined with steel ceilings and original concrete walls reflect the industrial nature of the area. 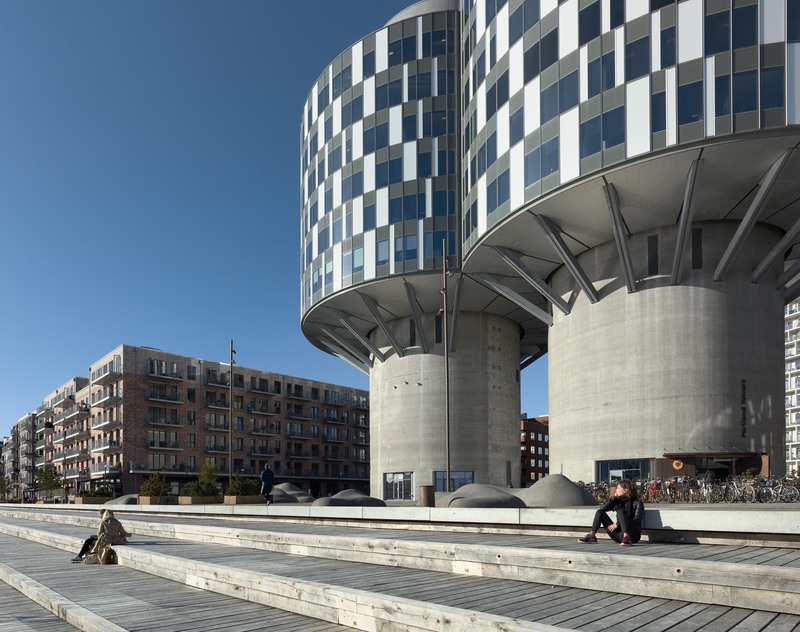 On level 12, 59 m above ground level, the common facilities are located such as canteen, meeting centre and a panoramic outdoor terrace with impressive views of Greater Copenhagen, Øresund and the Swedish coastline. 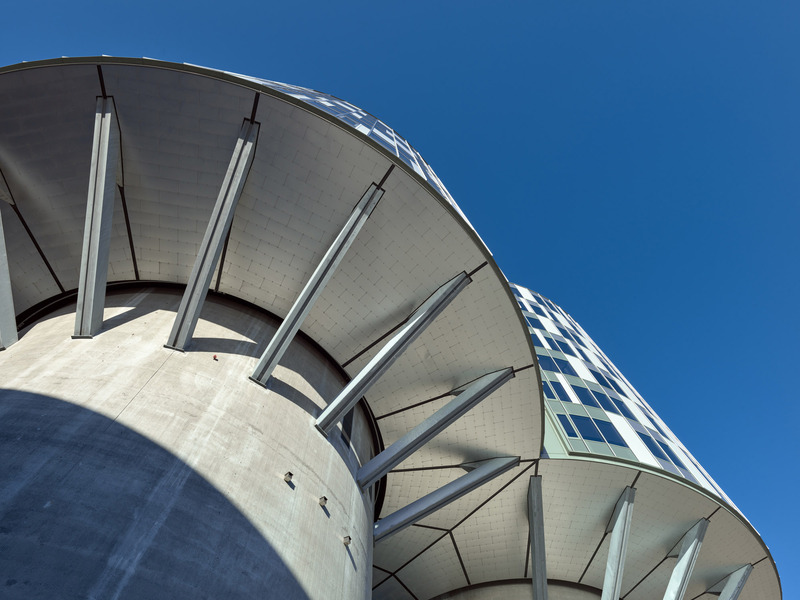 Sustainable actions have been taken all through the project from the use of the existing construction to the individual choices in materials and technical solutions. 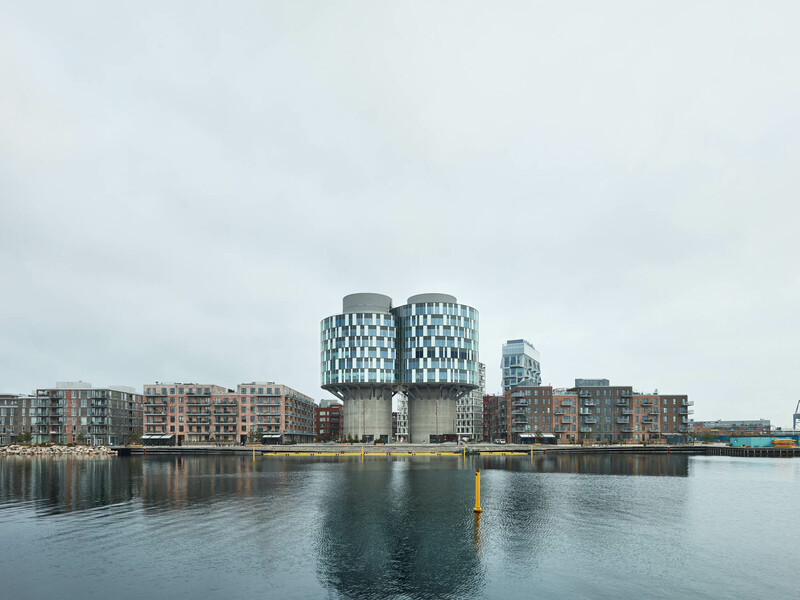 The building achieved the BREEAM Very Good Certification.